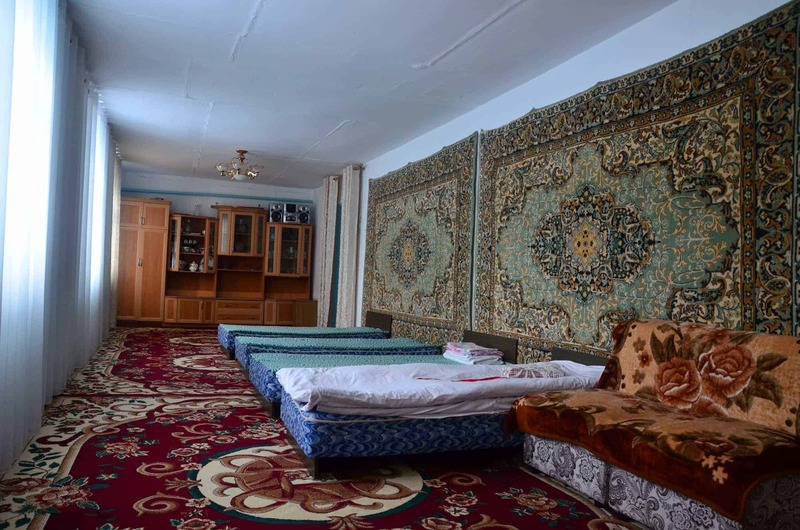 Ulan Hostel offers travelers comfortable and budget accommodation in an 8-person mixed dormitory room. A local breakfast is included in the price of the room, and home-cooked meals are available upon request. 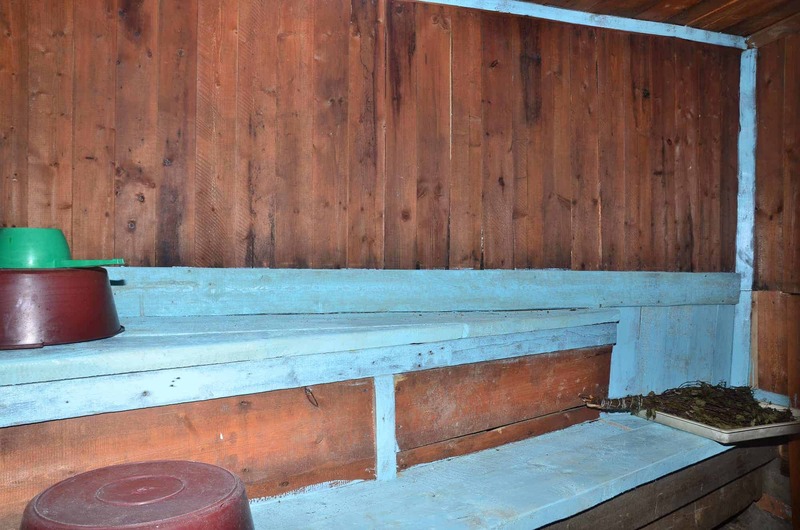 A Russian banya (sauna) is also available for guests to use. Begaiym and her family are looking forward to welcoming you. As a respected midwife and paramedic for the Jyrgalan Valley and surrounding communities, Begaiym Urakunova committed her life to caring for others. She moved to the Jyrgalan Valley in 1976 to marry and raise a family, and quickly grew to love the area’s slow pace of life. According to Kyrgyz tradition, her youngest son, Ulan, has remained with the family over the years. 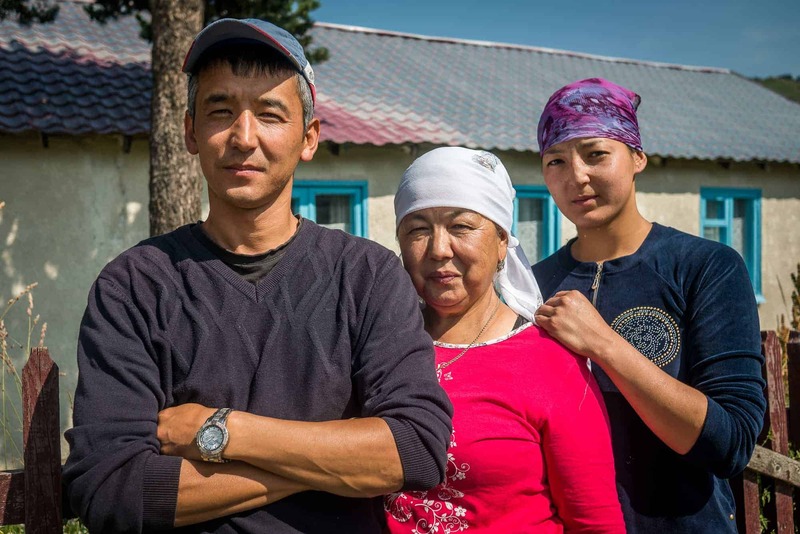 Ulan has lived in Jyrgalan his entire life — besides his time studying at the National University of Kyrgyzstan in Bishkek — and he and his wife raise their two children right from his childhood home. In the years since the fall of the Soviet Union, Ulan worked in livestock and various trades. But after two decades without steady employment opportunities for the region’s youth, he knew that once his children left home for university, there would be few reasons for them to return. Each of Begaiym’s three children attended university, and she knows her grandchildren will continue the tradition. But she and Ulan are now optimistic for the village’s youngest generation. Thanks to tourism, Jyrgalan is no longer a place to leave. 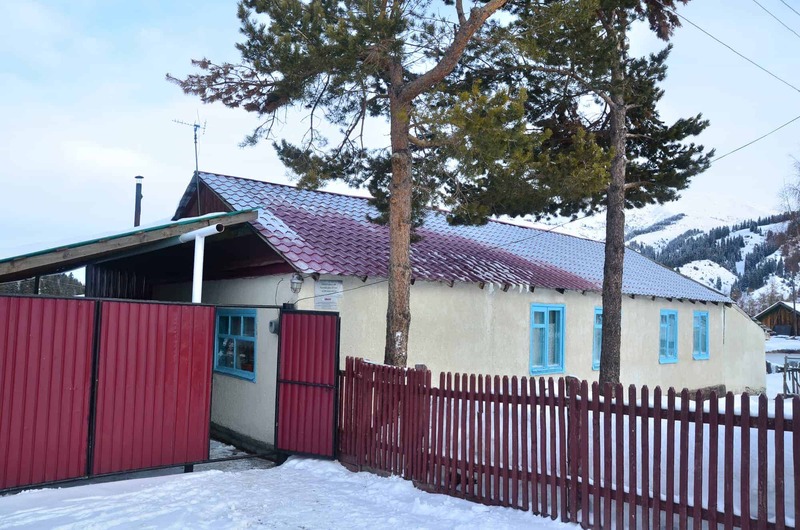 When members of the community created the Jyrgalan Destination Marketing Organization (DMO), this mother-son team joined as well, converting part of their home into a guesthouse. Already used to addressing the needs of others, Begaiym feels that her life as a medical professional will only help them welcome tourists into their home and to their community. She and Ulan are certain the tourists will come. Each member of the family has lived outside of Jyrgalan — Begaiym was born and raised in South Shore and Ulan lived in Bishkek during his university years. Because of this perspective, Ulan believes the area’s clean air and pristine nature will attract local and foreign tourists escaping from busy cities and hectic personal lives. Ulan and Begaiym have planned their tourism offerings to meet the needs of those travelers. Tourists already love their Russian sauna, and Ulan plans to expand their current offerings (trekking, biking, and horse trekking) into jeep tours and transport services. Underneath each personal and business goal, both Begaiym and Ulan stressed that their underlying mission is to provide a level of care and comfort that allows tourists to feel safe and welcome while exploring the Jyrgalan Valley.